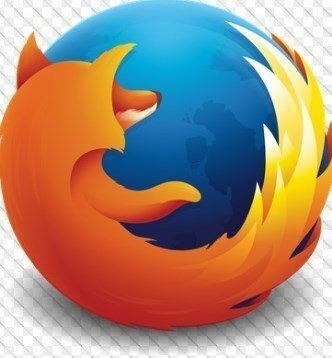 Released by Mozilla, the Firefox 41 web browser has arrived for Windows, Mac, Linux and Android devices, adding personalization tweaks as well as instant messaging. Firefox 41 includes some serious updates, which allow users to share web browsing data such as personal photos, passwords, bookmarks, history, and open tabs to others. Firefox’s Hello Beta system, developed with Telefónica, has the ability to send and receive instant messages during a video call in Firefox. Other upgrades include, enhanced IME support on Windows using Text Services Framework as well as improved box-shadow rendering performance. The Android version of Firefox 41 browser includes the ability to search using different providers from the search panel, swipe-to-close tabs on tablets, as well as bookmark management with duplicate bookmark detection. Curiously enough, Mozilla struck a deal with Firefox search with Yahoo, which ended it’s partnership with Google. Mozilla Firefox has around a 15 percent share of the desktop browser market. It is a free and open-source browser, developed by the Mozilla Foundation and its subsidiary, the Mozilla Corporation. Firefox browsers include many features, such as spell checking, incremental find, live bookmarking, a download manager, private browsing, as well as geolocation. Additionally, Firefox provides an environment for web developers in which they can use built-in tools, such as the Error Console or the DOM Inspector. They can also use extensions, such as Firebug. (Other functions can be added through add-ons created by third-party developers.) Firefox supports the playback of video content protected by HTML5 Encrypted Media Extensions (EME). Firefox uses a sandbox security model. It limits scripts from accessing data from other websites based on the same-origin policy. It also provides support for smart cards to web applications, for authentication purposes. Note that the Mozilla Foundation offers a “bug bounty” (up to US $3000 cash reward and a Mozilla T-shirt) to researchers who discover security holes in Firefox. Official guidelines for handling security vulnerabilities discourage early disclosure of vulnerabilities, so as not to give potential attackers an advantage in creating exploit. Best place to sell your used Apple device online Free shipping. Top cash guaranteed.